← Beauty is Pain, But This Is Ridiculous! We Are All Animals: Electric Zoo! Hey guys! You may have heard me excitedly posting that I will be attending Electric Zoo this year, but just in case you missed it: IM GOING TO BE AT ELECTRIC ZOO HECK YEA! Yea, its pretty big. 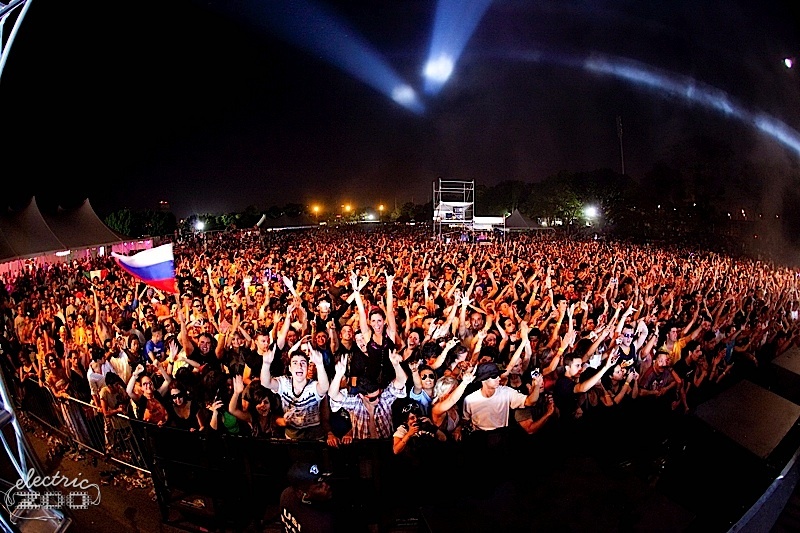 This is a picture taken at Electric Zoo 2010. Image courtesy of D-Series. As you might have noticed, I used the Koalacore Clothing (KxC) tagline ‘We Are All Animals’ in the tagline. This was completely intentional! It’s no secret that I’m a huge fan of what Rickey Sanchez has done with the brand.In the spirit of the ‘zoo’ aspect of Electric Zoo, look into grabbing some of KxC’s unique clothing which donates 10% of its proceeds to the ASPCA. Seeing as you’re going to acting like an animal, why not support one too? Another thing you should do before you go is get your favorite artist’s mobile app so you can stay connected to them before, during, and after EZoo: read their live tweets, check out their newest pictures, and download any new tracks all from one place. Check your favorite artist’s Facebook and Twitter to see if they have an app or not. And most importantly, HYDRATE! Drink plenty of water at ANY outdoor concert you attend!